Microstock Photography is one of the common names given to the low priced royalty free stock photo industry. Microstock (or micro stock) is a relatively new stock image industry aimed at personal and small business use. Photo buyers that would shy away from the traditional stock photo costing hundreds of dollars for limited use in the past are now prime customers of microstock agencies. 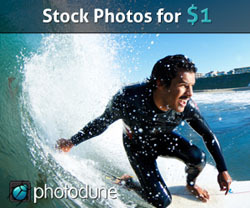 Microstock has also opened the door for many photographers to enter the stock photography market. In the past, getting into a high profile stock photography agency was very tough relative to microstock. Many agencies limited who could sell through them and what they could sell. With micro stock, it’s the other way around. Microstock agencies are asking photographers for their photos and allowing many amateur and hobbyist photographers to make a good income. Here you will find information about the Microstock Photography industry and a directory of related sites. We have put all things micro stock in one place to help you find answers quick and easy. Check out the many sections of the site to learn more. Visit our Buy Stock Photos section for a listing of the best micro stock photo agencies and helpful information on how to pick the right one for you. All of the agencies listed there provide quality, high resolution, royalty free stock photos for “micro” prices starting around one US dollar or less. Get answers to your questions in our FAQ, find out how you can get involved and sell your photos, and find helpful information about photography related to the micro stock industry. Also check out the Microstock Directory. Here we have compiled a collection of sites related to micro stock. If you are looking for something you cannot find here, please feel free to contact us with your questions or comments. Don’t forget to check out the blog and forum for more information.